I didn't get a lot of reading done in February- not surprisingly. My second semester of grad school has definitely picked up - what with classes, work, and an internship to boot. When I had free time, I was usually catching up on tv shows or sleeping (let's be honest, mostly sleeping). 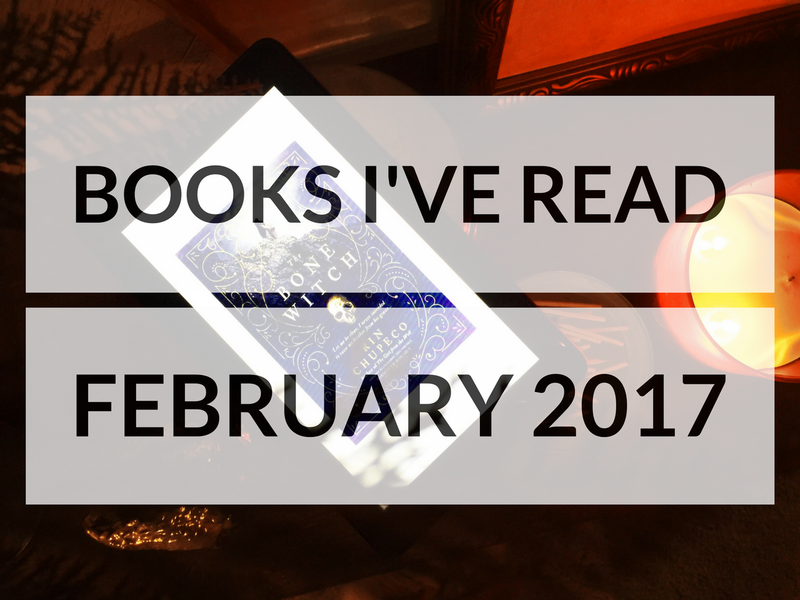 To be honest, I didn't finish an entire book in February. I did read The Bone Witch by Rin Chupeco throughout the month and finished it on March 2, so I'm going to include that in my "Read in February" books. Keep reading for my review of the book below. 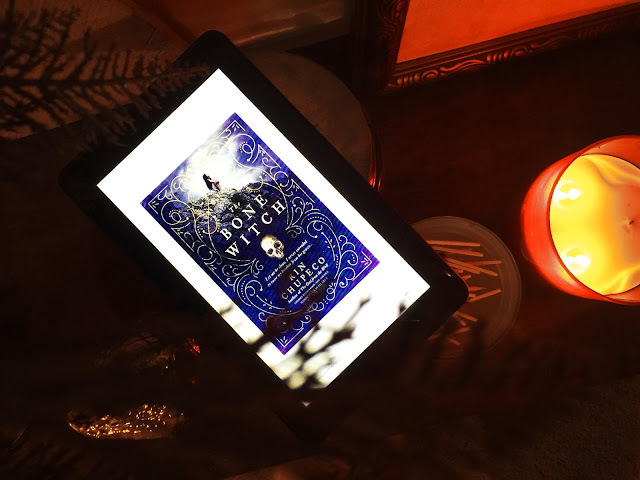 I wasn't necessarily sure what to expect when I started The Bone Witch , but I was excited to delve into it. The story is about a young girl (Tea), who after her brother dies in war, she accidentally (yes, accidentally) raises him from the dead. From this act, she learns about a power she has and she leaves with a dark asha (aka bone witch) to learn more about her power and what it means for her life. The story is told from two perspectives. The main perspective throughout each chapter is the story told from Tea's point of view and how she came to be where she currently is. Between each chapter is a short bridge told from the point of the Bard, who is learning Tea's story. The story isn't set in present-day, but I would say the Bard's story is set in the current-day of the story's timeline, and the bulk of the chapters (Tea's perspective) are the past being told in story form to the Bard. The novel reminds me of Harry Potter (my favorite!) meets Wicked. 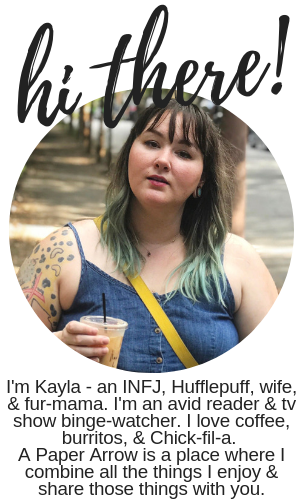 The young girl finds out she has magical powers, but since her powers are dark there is a stigma against her, which makes her life even more difficult. Throughout the story, you learn more about her power and her strength. Of course, there's a little tiny bit of romance within the story, which I don't think took away from the plot at all. The end of the novel almost wrapped up too quickly, and I wish that there had been more focus on the ending than I felt there was. I was glad that everything wasn't totally wrapped up, though, to give more of an opening for the followup novels in the series. Overall, I enjoyed the book and would definitely read the next in the series. I would recommend The Bone Witch if you're into fantasy novels, but if fantasy's not your thing, you probably would not enjoy this book. I received this book free from Netgalley in exchange for an honest review. As always, all opinions are 100% my own. This post includes affiliate links. If you click one of my links and make a purchase, I will earn a small commission. You did better than I did...I didn't even finish a book in February. That's the first time that's happened to me in a long time! The Bone Witch sounds really interesting...I'll have to add it to my TBR! Yeah. I really struggled in February. Maybe because it was a short month? So definitely don't feel bad about not getting through a book. It was a weird month for reading, for sure. And yes! You should. It was interesting.